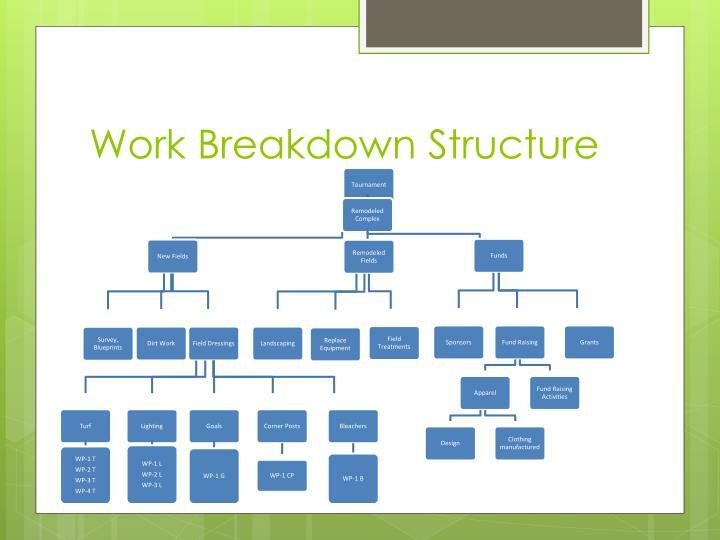 A work breakdown structure in project management and systems engineering is a deliverable-oriented breakdown of a project into smaller components. A work breakdown structure is a key project deliverable that organizes the team's work into manageable sections. The Project Management Body of Knowledge (PMBOK 6) defines the work-breakdown structure "A hierarchical decomposition of the total scope of work to be carried out by the project team to accomplish the project objectives and create the required deliverables. A work breakdown structure element may be a product, data, service, or any combination thereof. A WBS also provides the necessary framework for detailed cost estimating and control along with providing guidance for schedule development and control.